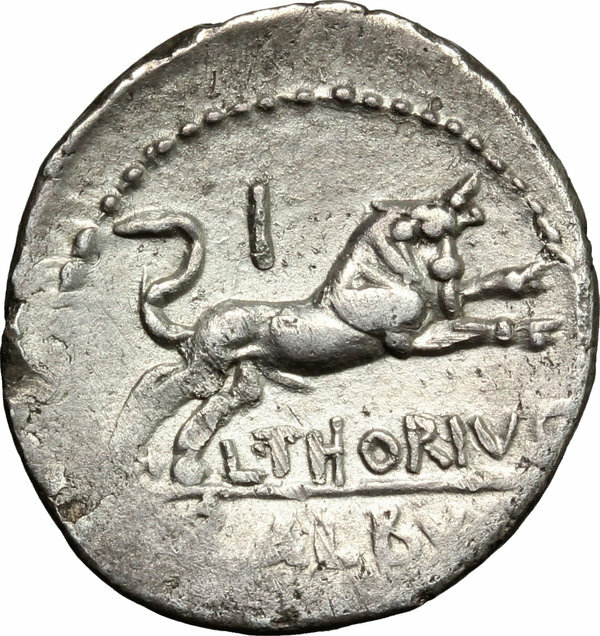 Coins 31 L. Thorius Balbus. 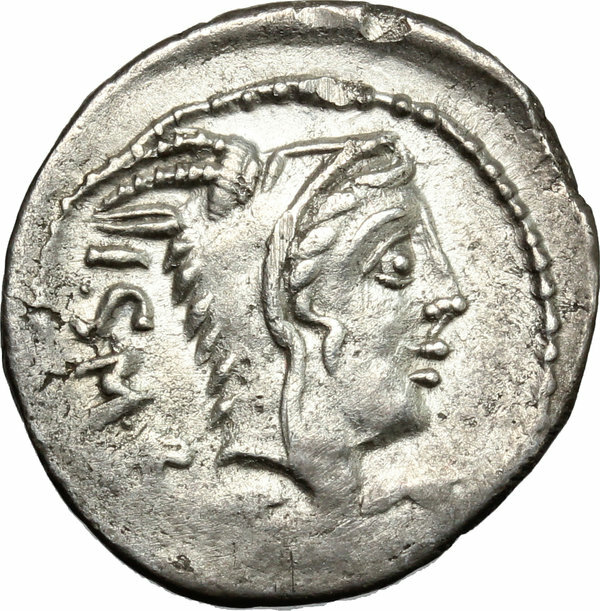 Denarius, 105 a.C. D/ Head of Juno Sospita right, wearing goat skin headdress. Behind, ISMR. R/ Bull charging right; I above. Cr. 316/1. B. 1. AR. g. 3.79 mm. 20.00 SPL.